The Nashville-based band comes to NYC to perform and show their support of the Tide. Moon Taxi, an up-and-coming band from Nashville, Tenn., is performing at Bowery Ballroom on Friday, July 13 at 8 p.m. The band is a huge big fan of the Crimson Tide and want to donate a portion of their concert proceeds to the Greater New York Chapter. 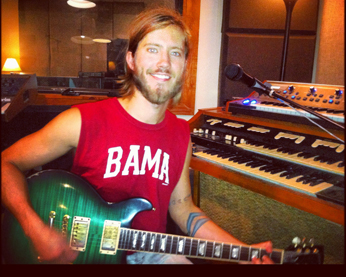 Last year, Moon Taxi worked with the Nashville Chapter to help raise more than $20,000 for the tornado relief efforts in Tuscaloosa. Moon Taxi, the impressive Nashville band that has captivated audiences in the southeast and beyond, recently released their long awaited new studio album, Cabaret. Guest-produced by Hank Sullivant, mixed by GRAMMY award winning sound engineer Vance Powell (Raconteurs), and recorded at Alex The Great in Nashville, Cabaret weaves the magnetic energy of Moon Taxi’s live show with musical ingenuity and thoughtful lyrics. Last month, Moon Taxi enjoyed breakout success at the Bonnaroo Music and Arts Festival where they rocked out in "This Tent" with thousands of festival attendees. This summer, they will be touring with Matisyahu & Dirty Heads and will be stopping off at several festivals this summer including Forecastle, Firefly, and Lollapalooza.